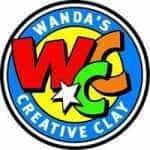 Clay-making birthday parties, workshops, and classes. One of the most distinguished art museums in North America, the AGO offers family-friendly exhibits, plus kids' art classes, camps, and other programming. Richmond Hill offers fun activities for everyone, with everything from great birthday party packages to kids' camps! Push your limits at the Eyer Ropes Challenge Course or splash around at the one-of-a-kind Wave Pool. A non-profit children and youth organization working in the fields of film, arts, and education. Camps, classes, and workshops in the GTA in photography, filmmaking, animation, music video, and more. Visual and performing arts programs for kids, teens, and adults run by professional artist-educators. After-school and weekend classes, plus summer camps and school-break camps. Learning-based art classes, preschool programs, and summer camps for kids and teens in Leaside. Express yourself through art and develop painting skills! Paintlounge Toronto West has painting workshops for kids or the whole family and is a kids' art party venue too. Midtown design studio for the discerning DIYer. Chic fashion, jewelry design, home decor & more for crafty fashionistas age 5 to adult. 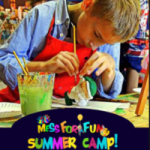 Exciting workshops, birthday celebrations, showers, as well as school break and summer camps. 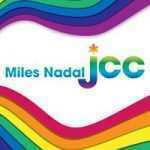 The Miles Nadal Jewish Community Centre offers a variety of inclusive programs for children and families. This painting studio and birthday party venue in Markham hosts art-themed kids' parties and painting workshops for kids and families. A creative play centre where kids will love being active and creative while learning about the world through engaging art, play & stories. We offer Preschool Classes, Art Classes, Stay and Play, Mall Drop-Off & Shop, and private Birthday Parties with fun themes, art activities and games! Located in Promenade Mall, on the lower level next to Sears. Private, one-on-one piano, guitar, voice, drum, and art lessons, as well as group art classes for all ages. Art One Academy is an innovative, supportive and vibrant art school and summer day camp for students of all ages and abilities. We focus on teaching our students the fundamental basics of fine art so that they are well prepared to take their art to a professional level. Music and art school in Richmond Hill for all ages and all levels. Music classes and private lessons as well as art classes. Create abstract art as you splatter paint on a canvas in the Splatter Painting party room. Make your own Tie Dye T-shirts with our Tie Dye mania parties. Your creative studio for ceramics and glass. Drop in and create! No appointment, talent, or experience required. Specializing in paint-your-own-ceramics, glass fusing, handprints and footprints, and more. Birthday parties, school programs, art programs, summer art camps. Creative fun for all ages. A community-based art school, art gallery, and paint-your-own-ceramics studio for children and adults. Kids' art classes and teen art classes with professional artists. Sign up for kids' art workshops, family painting workshops, or throw an art-themed birthday party for kids at Paintlounge's Leslieville location. Music and art school in Richmond Hill for all ages and all levels. Music classes and private lessons as well as art classes. Camps at this location in summer and during school breaks. Pinch, coil, slab & through your way to beautiful creations. Gymboree Play & Music has been fostering creativity and confidence in children ages 0-5 for over 40 years. Caledon location of this art-studio franchise with workshops, classes, and parties for kids and adults, in clay, painting, collage, silk-screening, and printmaking. Nature’s Course brings families closer together through the arts. Grow together, deepen bonds, strengthen communication. A little free-play goes a long way. A non-profit organization that provides creative arts programs for kids ages 5–11 and teens ages 12+ who have experienced abuse or neglect. Art and Yoga classes for kids. Montessori inspired Art programs & Camps.